This propulsive, globetrotting thriller from acclaimed director Michael Winterbottom is a breathless tour through the shadowy underworlds and hidden realms of Pakistan and India. 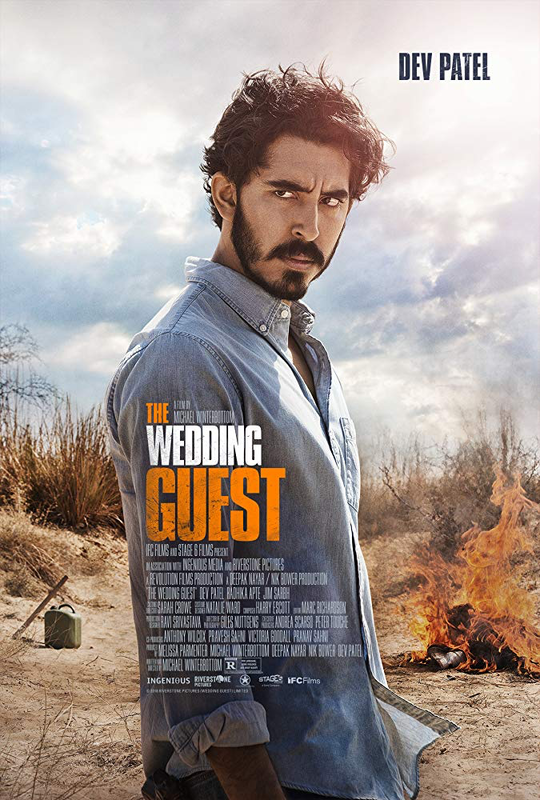 Jay (Dev Patel) is a man with a secret who travels from Britain to Pakistan to attend a wedding – armed with duct tape, a shotgun, and a plan to kidnap the bride-to-be. Despite his cool efficiency, the plot quickly spirals out of control, sending Jay and his hostage on the run across the border and through the railway stations, back alleys, and black markets of New Delhi – as all the while attractions simmer, loyalties shift, and explosive secrets are revealed. Pulsating with the sights and sounds of the Indian subcontinent, The Wedding Guest conjures a colorful world where danger lurks at every turn and nothing is as it seems.